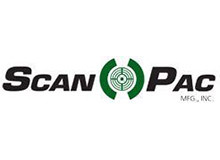 For over thirty years, Scan-Pac has been manufacturing friction products such as overhead crane linings, molded and woven linings, custom flat sheets, custom clutch facings, and “Getke” Phenolic Bearings. We are proud to offer this line of superior products to our customers in Ohio, Tennessee, Pennsylvania, West Virginia, South Carolina, Georgia, and Florida. We carry Scan-Pac RF (rigid molded) friction products for heavy duty applications such as brakes for overhead cranes. We also carry Scan-Pac Gemini Woven friction material, which was developed to be reasonably priced while maintaining our usual high standard of quality. In addition, our molded flat sheets can be custom fabricated into any shape the customer desires. Another one of our innovative products is the Gatke molded fabric bearing. These are made of high-strength fabrics and special long-lasting resin compounds to withstand the harshest applications. To find out more about the many varieties of friction products we offer, please contact IBS directly.